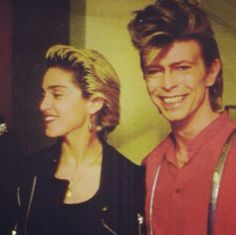 Madonna, the queen of Pop/Rock music pays her tribute to David Bowie, the Chameleon of Pop/Rock music. I'm devastated.David Bowie changed the course of my life forever. I never felt like I fit in growing up in Michigan….